INTRODUCTION Mycosis fungoides is a cutaneous T-cell lymphoma with ophthalmic involvement in 30% of cases. The disease typically progresses through three characteristic phases. The first is a pruritic, disseminated, eczematous dermatitis that ultimately progresses to infiltrating and plaque forming lesions and terminates in a tumor phase. Eyelid lesions are usually seen in the later tumor phase. 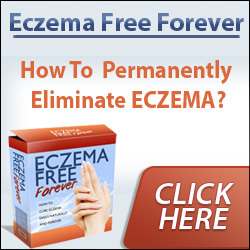 However, the disease may start with skin tumors without a preceding dermatitis. The Sezary syndrome with skin involvement, adenopathy and hepatosplenomegaly represents a leukemic form of mycosis fungoides. In all types, this disease is characterized by a slowly progressive indolent course with episodes of remissions and exacerbations. Ultimately the disease can prove fatal due to involvement of lymph nodes, bone marrow, and visceral organs. Survival ranges from seven months to two years. Death usually results from sepsis or from systemic involvement with lymphoma. 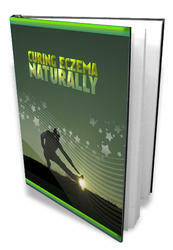 CLINICAL PRESENTATION The disease begins as a chronic, pruritic, scaling dermatitis. This premycotic stage is represented by an erythematous, eczematous, or psoriasiform dermatitis that slowly progresses into the second, or plaque, stage. In this stage discrete plaques with bizarre configurations and a variable degree of scaling arise on a background of otherwise normal skin. Pruritius and excoriation are common. The third, or tumor, stage is characterized by eyelid tumors and plaques that are indistinguishable from lesions that occur on other body areas. Full-thickness eyelid ulceration with cicatricial ectropion is the most common sequel affecting 40% of patients with ophthalmic involvement. In addition conjunctival and lacrimal tumors, keratitis, corneal ulceration, uveitis, secondary glaucoma, optic atrophy, and papilledema have been reported. Nonspecific findings include cataracts, dry eyes, glaucoma, and ectropion. HISTOPATHOLOGY The patch stage of mycosis fungoides (MF) has subtle histological changes that may include mild hyperkeratosis with focal parakeratosis, basal cell hydropic degeneration, small numbers of atypical irregularly shaped lymphocytes (mycosis cells) in the epidermis surrounded by a halo, atypical lymphocytes palisading ("tagging") along the epidermal-dermal junction, and a superficial perivascular lymphohistiocytic infiltrate. The plaque stage of MF (shown below) usually has compact hyperkeratosis often with patchy parakeratosis, acanthosis, large numbers of atypical lymphocytes in the epidermis, and a predominantly superficial and band-like infiltrate of atypical lymphocytes in the dermis. The tumor stage of MF has a very dense infiltrate of atypical lymphocytes in the dermis and sometimes the subcutis, and there may be epidermal ulceration or slight to absent infiltration of the epidermis by mycosis cells. DIFFERENTIAL DIAGNOSIS The differential diagnosis includes psoriasis, contact dermatitis, discoid lupus, atopic dermatitis and lymphoma. TREATMENT Current forms of therapy include topical corticosteroids, systemic chemotherapy, ionizing radiation (x-ray or electron beam), and ultraviolet light with or without psoralen (PUVA). Both topical and systemic steroids are frequently of benefit. Superinfections, viral, bacterial, or fungal, should be watched for and treated appropriately. Eyelid necrosis and ectropion are repaired with standard eyelid reconstructive techniques.